I can buy a mad scientist creating monsters that charge up via glowing meteorite, but a cave this big? I don’t think so! Be sure to get acquainted with the cast via the Godzilla Marvel Splash Page, and check out the rest of March of Godzilla 2013! 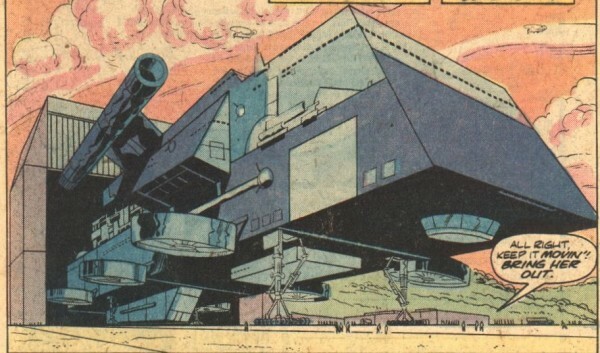 Meanwhile, Dum Dum Dugan mentions that they’re building a new helicarrier, not just fixing the crashed one. That would make too much since. 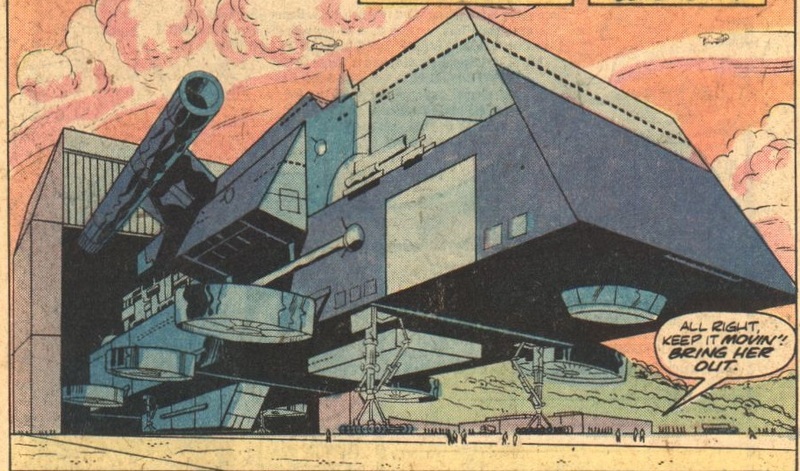 In fact, this is a specialized helicarrier called Behemoth designed to capture giant monsters like Godzilla. 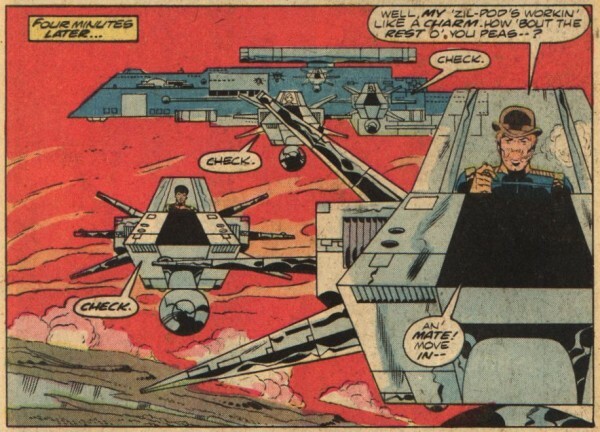 And it is to be piloted by a guy named Hugh Howards, and you can guess what he looks like. Yep. Howard the Duck. Just kidding! 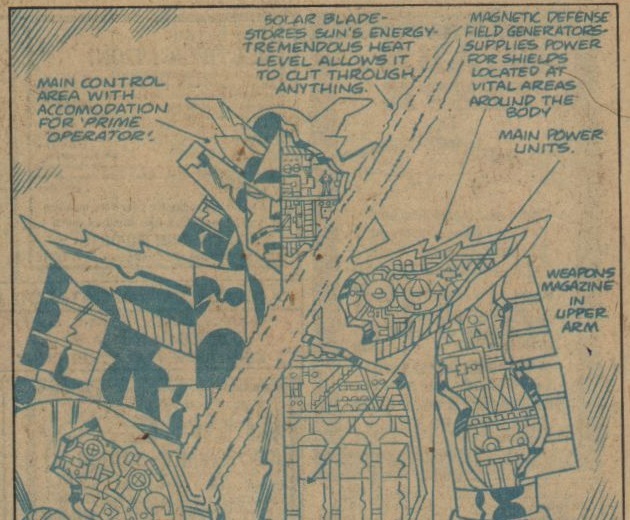 Dr. Takiguchi’s plans are revealed, he’s building a giant robot codenamed SJ3 RX (aka Mr. Project) that will eventually become the infamous Red Ronin. 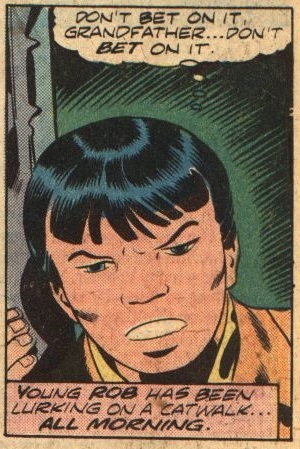 Jimmy Woo and Tamara are soon making out, but she pulls away, because she’s confused and jazz. 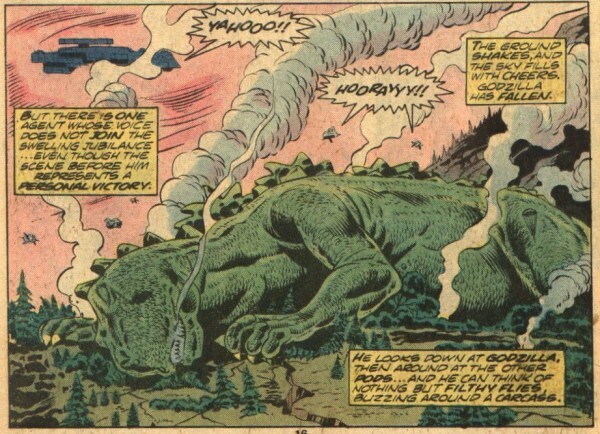 Gabe Jones convinced Dum Dum to use knockout gas Godzilla first instead of burying a mountain on him. Gabe and Dum Dum get in their Zil-Pods and drop the gas. Godzilla is upset at first, but eventually the gas kicks in and Godzilla gets KOed! Sometimes you just got to purify the world with fire! They load him into the Behemoth and take him to a specially constructed cage at a military base. This is sort of like King Kong, except different. Because the ship can fly. And there will be no stage show…yet! 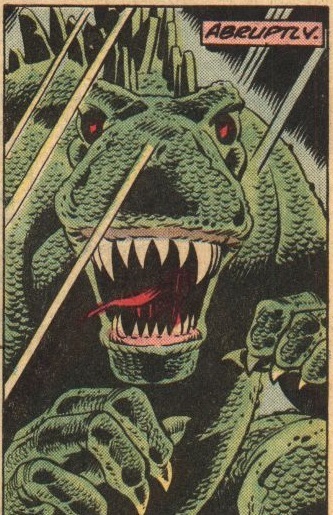 The second Godzilla wakes up, he freaks out and busts out of the cage! Wow, billions down the drain because it went to the lowest bidder. Time to arrest some military contractors and execute them! Robert has snuck into the Red Ronin controls and attempts to pilot it, except he gets knocked unconscious from pressing the wrong controls and is shocked. Rob, Rob, Rob…. And we wait until next time to find out just how berserk the malfunctioning Red Ronin will be! Grandpa bet against Robert hanging out on the catwalk all day! Just in case you want to build your own Red Ronin! 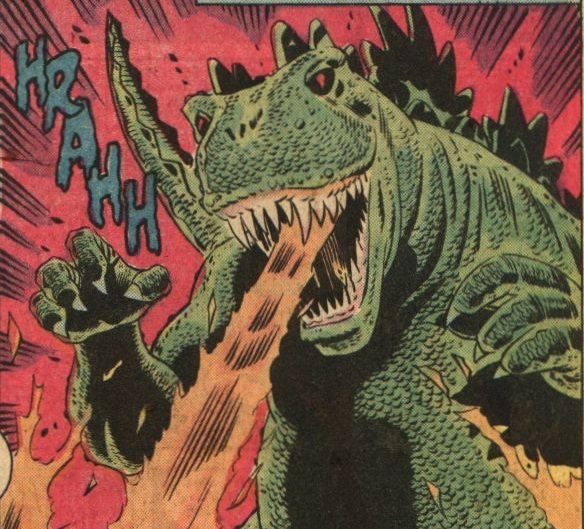 Godzilla kicks it up a notch! Red 3 standing by. Red 6 standing by. Red 9 standing by. 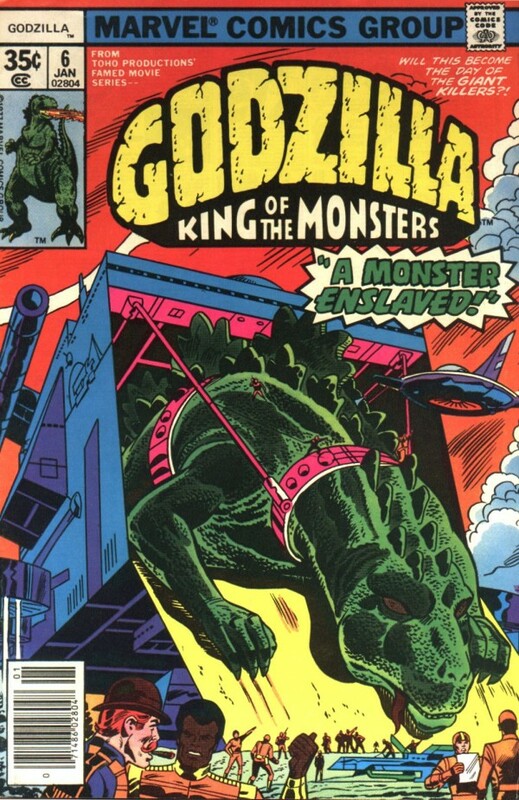 Yahoo.com immediately bought naming rights for Godzilla! Who you calling abruptly, buddy?